Northamptonshire is dotted with pretty villages and ancestral manors - including those belonging to Diana, Princess of Wales and George Washington. Plus it’s got a wonderful series of canals, upon which brightly coloured barges potter along. So it’s all very picturesque, piqued here and there with elegant stone churches, a corn mill or two and some exposed Tudor timber. Choosing the best places to stay in Northamptonshire are heavily dependant on why you’ve chosen this peaceful county as your destination. If you’re here for the Grand Prix in July then Towcester is comfortably close to Silverstone. But if you like the idea of those coloured canal boats and pretty villages then one of the best places to stay in Northamptonshire is probably Stoke Bruerne, eight miles outside Northampton. Northampton is the largest town, but not currently a city - though they are trying. They have a museum and art gallery, a beautiful Guildhall and the only house outside Scotland to have been designed by Charles Rennie Mackintosh. But Northamptonshire is more a rural escape than a city break county. Our pick of the best places to stay in Northamptonshire is a country house, perfect for a weekend away. Fawsley Hall Hotel is a country house hotel with Tudor roots, perfectly located for Stratford-upon-Avon, Oxford and Bicester Village. There are 58 spacious rooms decorated with antiques and an award-winning spa. 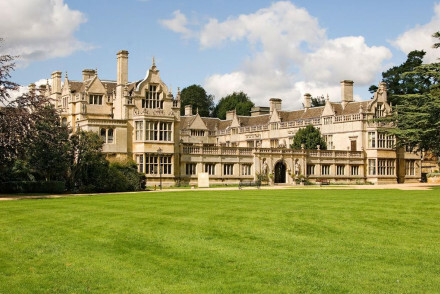 Still not sure which is the best place to stay in Northamptonshire for you? 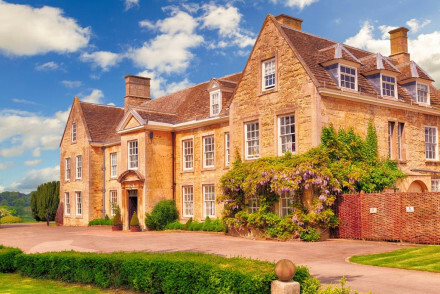 Browse through our list of all the best places to stay in Northamptonshire, or contact one of our friendly Gurus for advice. Barton Hall is located in the countryside outside Kettering. Set in a 16th century Grade II listed property, it offers twenty nine rooms, where contemporary design complements period features. Plus the wonderful Vines Brasserie restaurant with its 2 AA Rosettes. A relaxing country escape. An imposing property located in beautiful rural Northamptonshire. Traditionally dressed throughout with heavy curtains, antique furniture and roaring fires. An indoor pool and spa are utterly spoiling and the fine-dining restaurant is a real treat. A grown up hotel for quiet country escapes. Country Escape - A luxurious country house in manicured gardens, both peaceful and spoiling. Great walks - Find miles of scenic countryside to be explored. 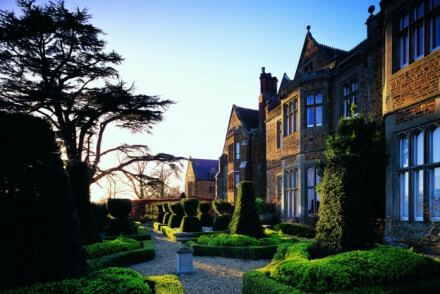 Country house hotel with Tudor roots ideally located for Oxford, Stratford up on Avon and Bicester Village. Fifty eight spacious bedrooms traditionally decorated many with antique furniture. Popular venue for weddings and business events.